Kareem Hunt was the featured running back for the Kansas City Chiefs. Last year, as a rookie, he led the NFL in rushing yards. This year he is a big part of the reason why the Chiefs hold the best record in the AFC at 10-2. That all changed this week after a video was released of Hunt physically abusing a girl in the hallway of a hotel. The video shows that an argument ensued between the two and friends tried to hold Hunt back when he got angry. Hunt then violently pushes his friend into the girl, sending the girl to the ground. Hunt then yells at her and kicks her while she is sitting on the ground. When police arrived, neither party decided not to press charges. The NFL and the Kansas City Chiefs were aware of the incident. The NFL attempted to get a copy of the video tape, but was unsuccessful. They interviewed Hunt and he told them his version of the story. Apparently, the NFL believed Hunt’s version of the story because no punishment was provided. 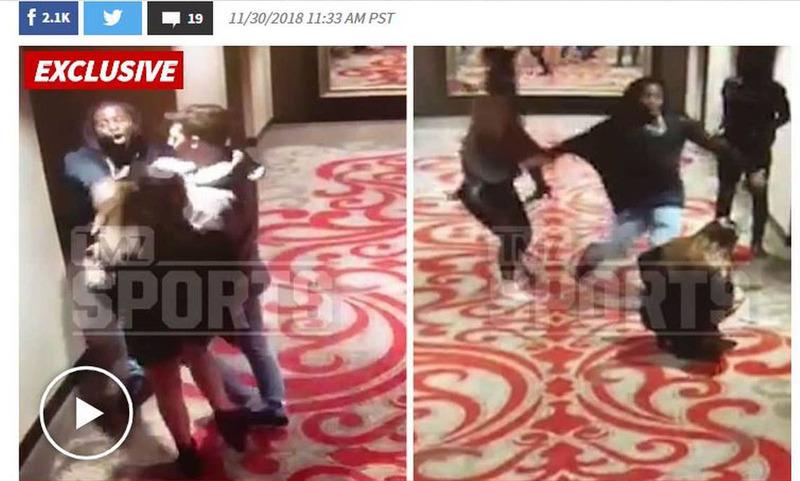 However, after TMZ released the video, the Kansas City Chiefs released Hunt for the violence and for his lies afterward. Joe’s Perspective: To be clear, the NFL should not be judged by the misconduct of a few athletes. Domestic violence is a societal issue and must be seen in this light. I would like to think Hunt was released because of the morality of the situation. As in, it is just wrong to hit a woman and the NFL will not tolerate their employees perpetrating such acts of violence. Unfortunately, I think it has more to do with public perception, viewer outcry and money. The NFL needed video evidence to act. They also simply took their employee’s word. This incident happened 10 months ago, not yesterday. It seems that they knew this video would create another black eye for the NFL and they just cut ties so that fans/sponsors wouldn’t boycott them again. Maybe it doesn’t matter why the NFL severed ties with Hunt. Maybe the consequence is sufficient enough to send a powerful message to young people everywhere. Domestic violence will not be tolerated. Furthermore, it is entirely possible to lose your job for something you did while not on the job. So, make good decisions… handle your emotions properly… treat people with respect. One moment can ruin an entire career. Your Turn: Do you think someone should get fired for something they do off the job (domestic violence, stealing, drinking and driving…)? Yes because you shouldn’t get rewarded for bad behavior I guess. Yes because those are all terrible things and might translate into work. Those things should never be allowed. Yeah but it should be to some extent. Obviously if you are doing bad things you shouldn’t be able to play but it depends what it is. Yes to an extent because if they commit these acts in their own life, who’s not to say that these behaviors aren’t going to show up in their work? I think they should get fired for doing a bad thing. People should not be able to do terrible things and still have their job, especially since he is in the NFL which is a bug deal and he’s known nationally and maybe beyond that. I think people should get fired for doing bad things like that. Athletes shouldn’t be able to put there hands on people and get away with it. Doesn’t matter how mad you get a man should never put his hands on a female. Yes because if they don’t get punished then they might continue to behave like that and bring it into the work place. Yes because your actions on and off the field matter. For example: if I break code of conduct then those actions are punished by me sitting out. If you do something that shows that you are not a well-rounded human being you shouldn’t be allowed to continue to do what you love. There has to be consequences. Yes. Whether you make a mistake of the field or off it, you should have to pay for it. Especially when it comes to somebody involving sexual harassment. Yes, because if he or she represents a company, and one simple mishap happens and their name comes up, not only they tarnish their name, but that could potentially tarnish the company they work for. Yes because it shows their true character. As an employer you don’t want people who do bad things in your workplace, because they could bring it into the workplace. I don’t think people should get fired for something they do off the job because people can have two sides, one for in the job and one for off the job. Something they do off the job like a DUI shouldn’t result in a punishment through the employer. I think so simply because, it’s still either part of your contract where you shouldn’t do that whether ur on a contract or not. I think it was the right thing the NFL did. If someone physically or mentally assaults someone, I do think that they should be fired. If they are degrading someone they are not putting on a good face towards their workplace. As for drinking and driving and drugs and driving, all they can do is be smart about it but if it affects their work, they should be punished. Yes, because even though they are off the field there actions still represent them. Yes because these acts reflect on that person’s character. Punishing the person could also discourage their risky behavior and better them in the long run. Yes, because the person may allow this wrong behavior to influence their work. Keeping this person on the job is allowing this person to remain set in their ways without any consequences. Yes if it’s something that can affect their job or could reflect on their behavior at work, then they should be fired. yes, companies should fire anyone that has been involved in domestic violence. It honestly all depends on the situation. If it is severe such as a sexual harassment case, I do believe that the loss of a job or position may be needed. However, people do deserve second chances and firms should be careful before deciding to completely “fire” or replace an individual. Ian, that’s a great point. Should someone lose their job based on something they did as a private person on their own time. People have been kicked out of college due to a tweet. Is that okay? Should a factory worker lose his job because he gets a DWI. There is a line there somewhere and I’m not sure where it is. Great comment. Yes they should get fired. The wrong thing is the wrong thing whether its at work or not.